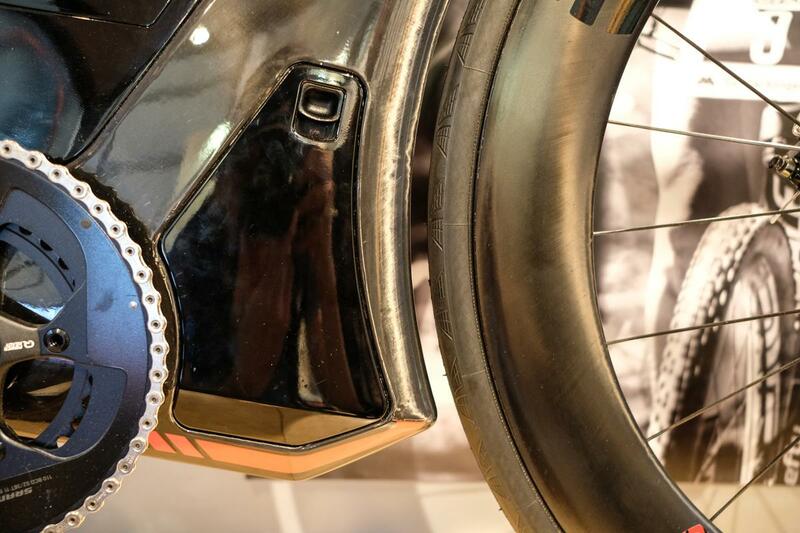 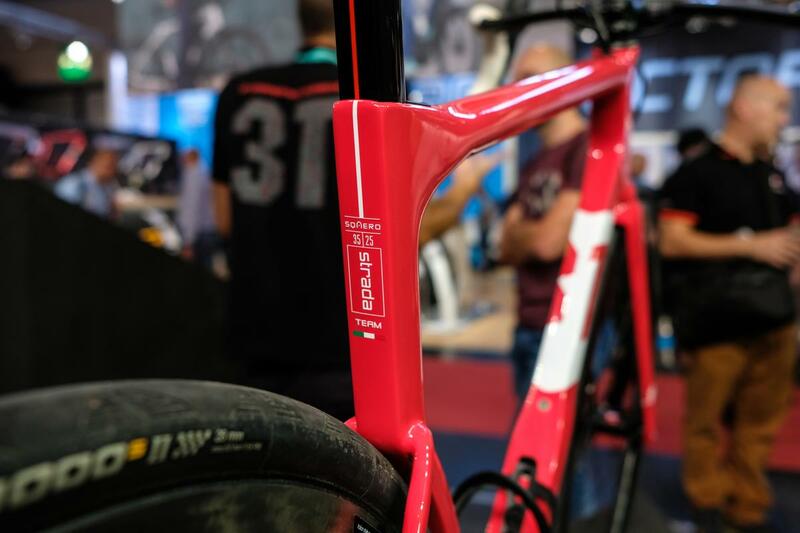 Bespoke headed to Germany last week to spend some time at Eurobike, the world's biggest gathering of new bikes and products, armed with a camera and a nose for exciting new releases. 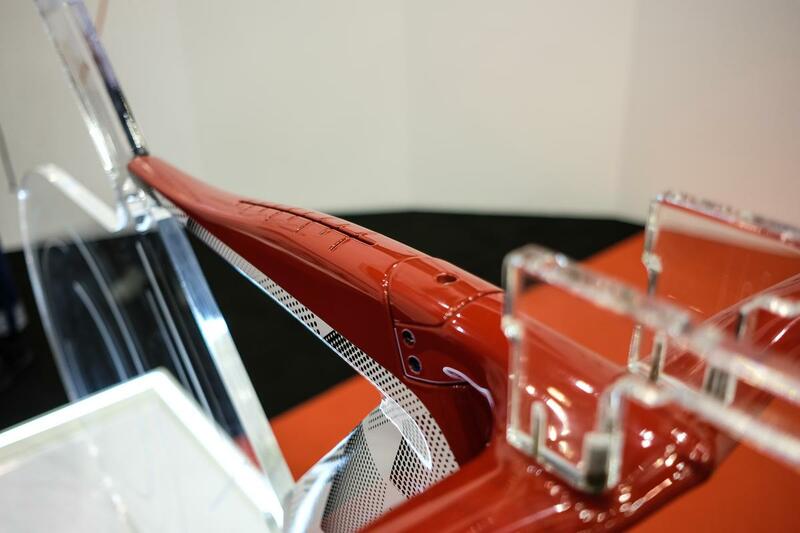 Here are some of the highlights from the show that caught our attention. 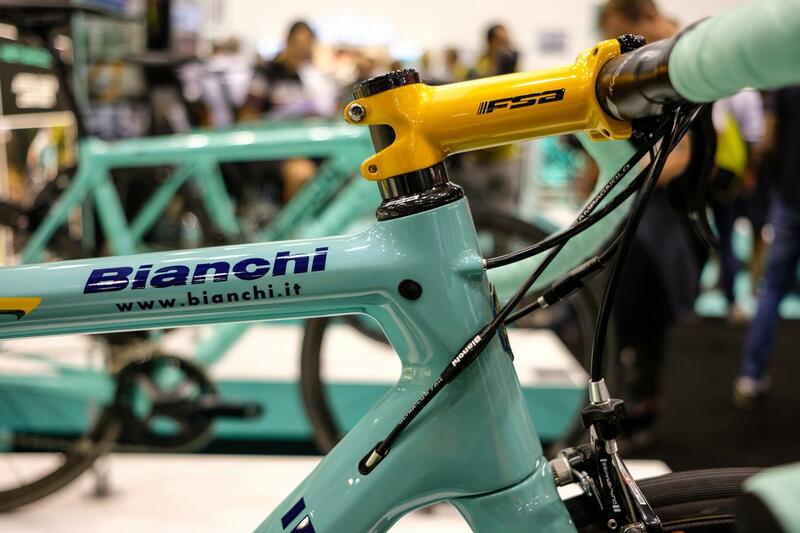 We've seen Ferrari partnering with Colnago in the past, but the motoring company has got together with that Bianchi this year to create the Bianchi SF01, an ultralight version of the current Specialissma. 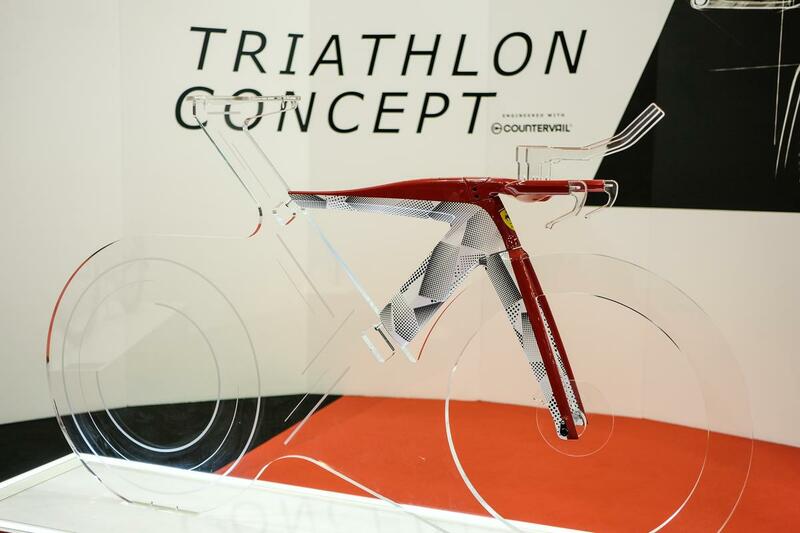 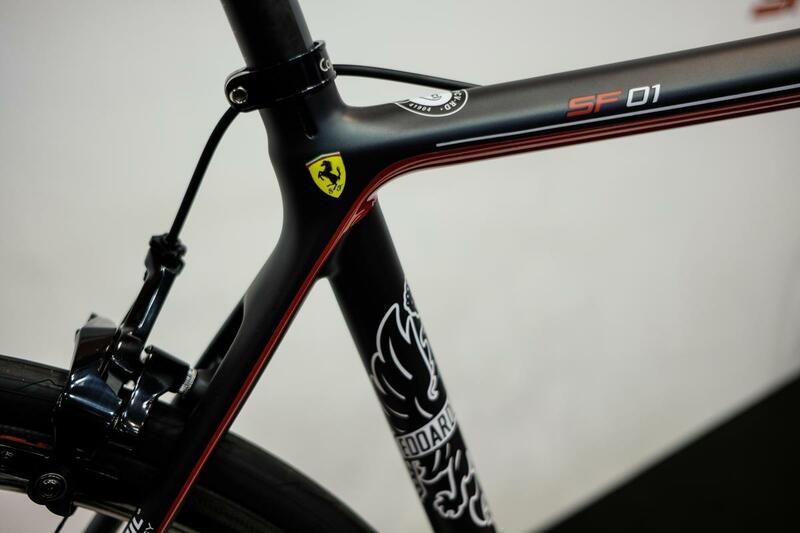 The SF01 is just the starting point in a new range called Bianchi for Scuderia Ferrari and they have some rather ambitious plans, as this triathlon concept shows. 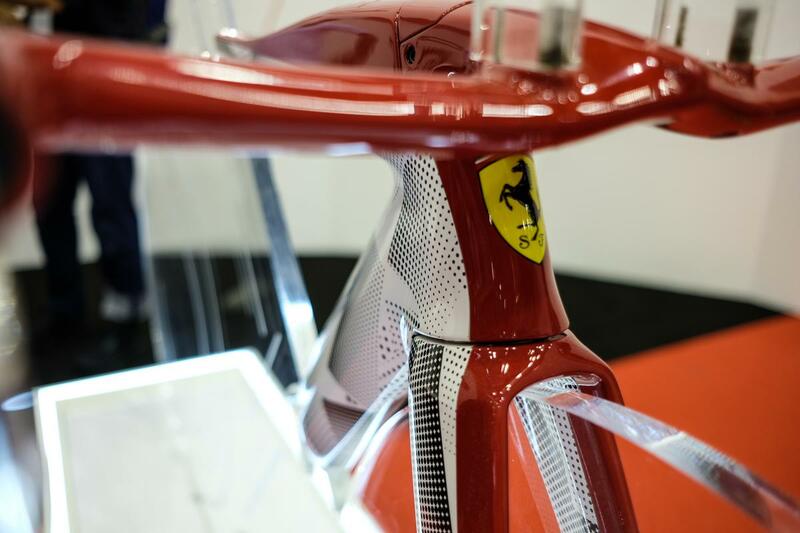 It demonstrates a deep partnership between the design teams of each company, and clearly maximises aerodynamics. 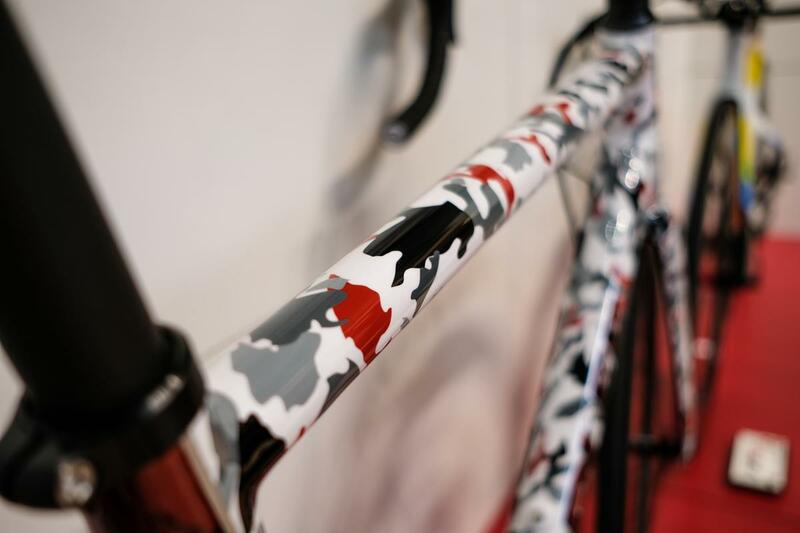 Can't wait to see the finished product. 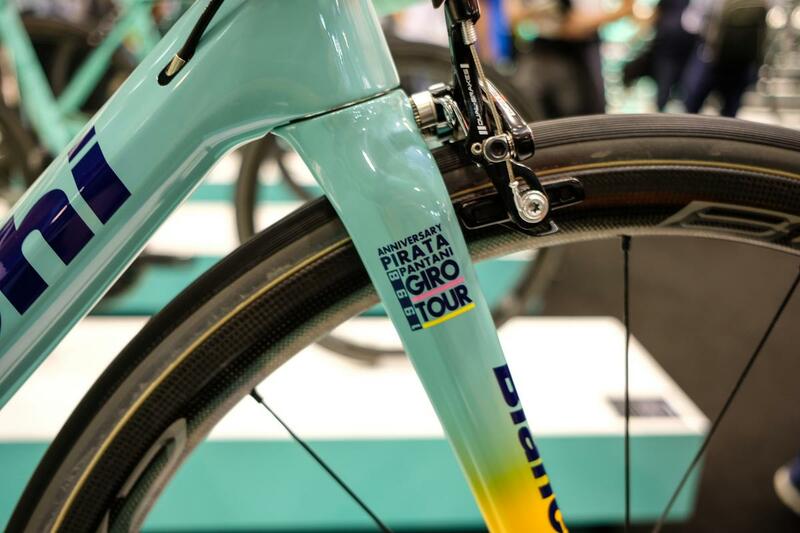 While the new partnership with Ferrari is all about looking forward, the new Marco Pantani Specialissima is all about celebrating an iconic and legendary partnership. 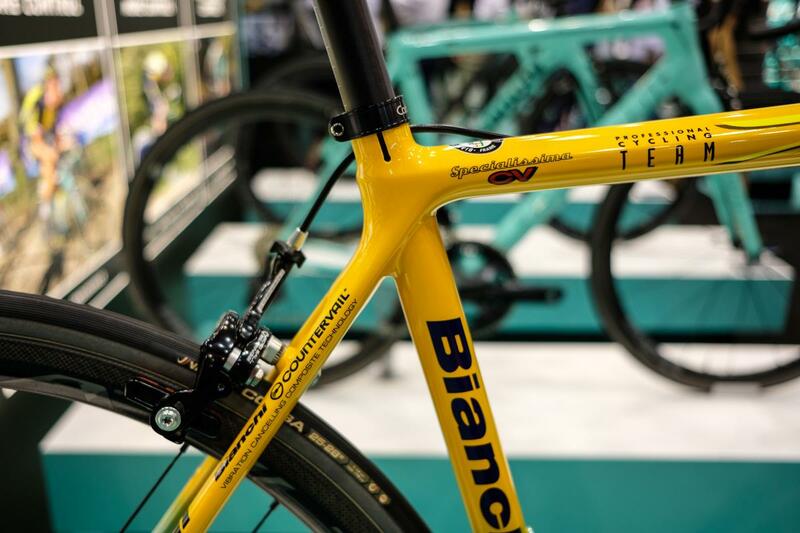 The bike celebrates 20 years since the late Marco Pantani won the Giro and Tour in the same year and this bike echoes the team paint job of the Mega Pro XL the Italian raced. 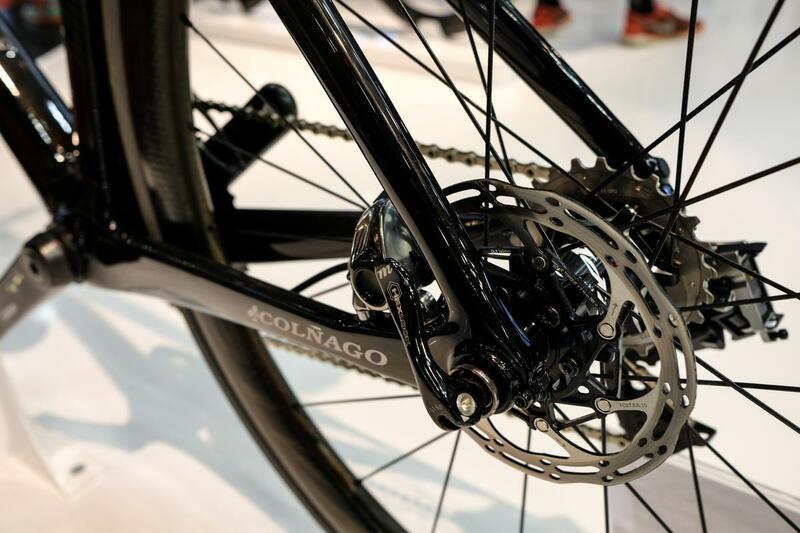 Colnago might, on the one hand, appear to be a traditional company but there's innovation at its heart, and it's fully embraced disc brakes across the range. 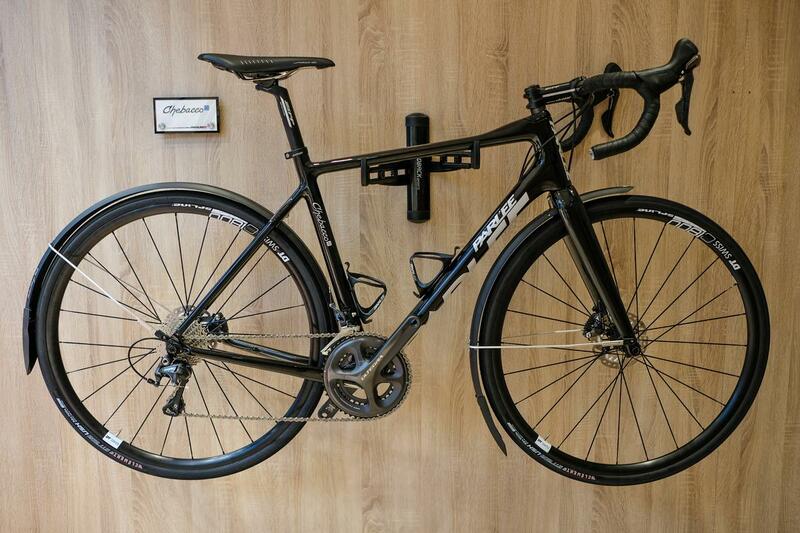 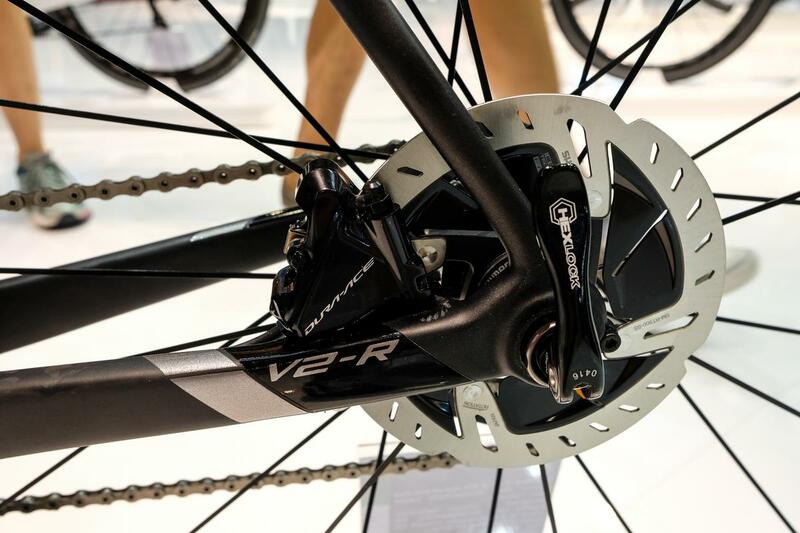 The new Concept and the recently launched V2-r aero bikes were being displayed in their new disc brake guises. 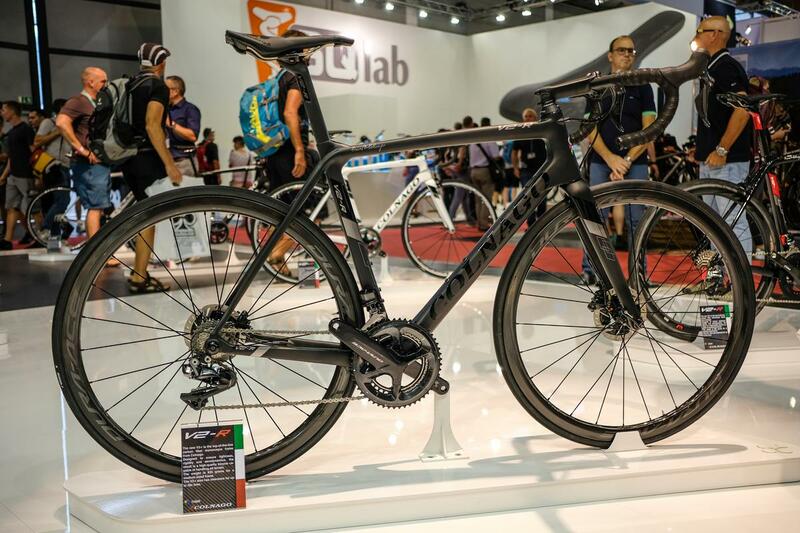 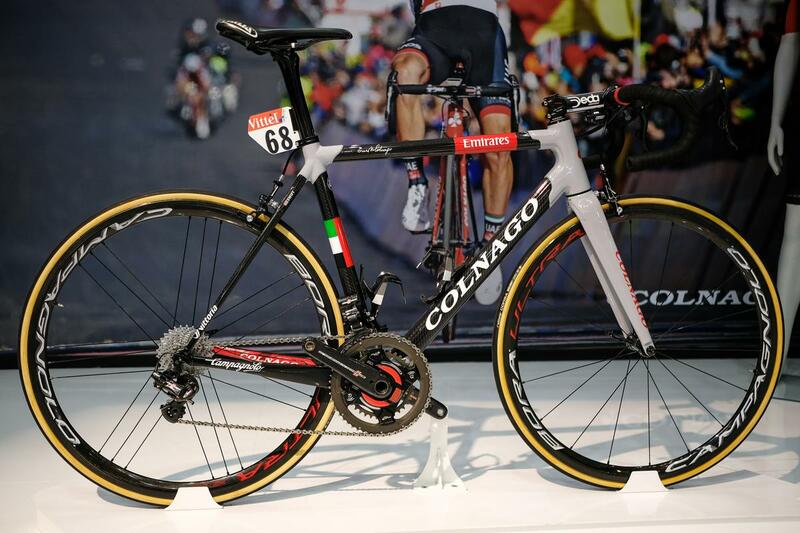 Colnago only launched the new V2-r, the replacement for the V1-r, a few months ago, but it's now available with disc brakes. 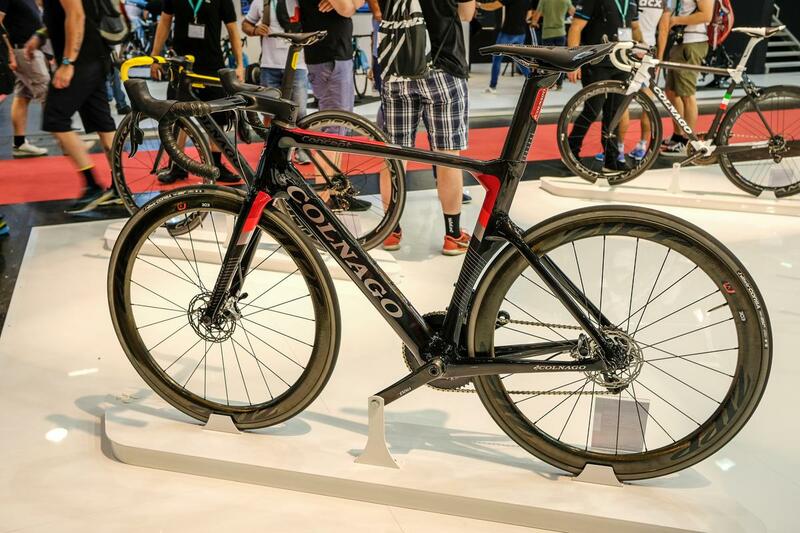 The original was Colnago's first dabble in the world of aero road bikes and this updated model retains the same frame shapes and even the 835g frame weight is the same, but it's massively increased the stiffness in all the key areas. 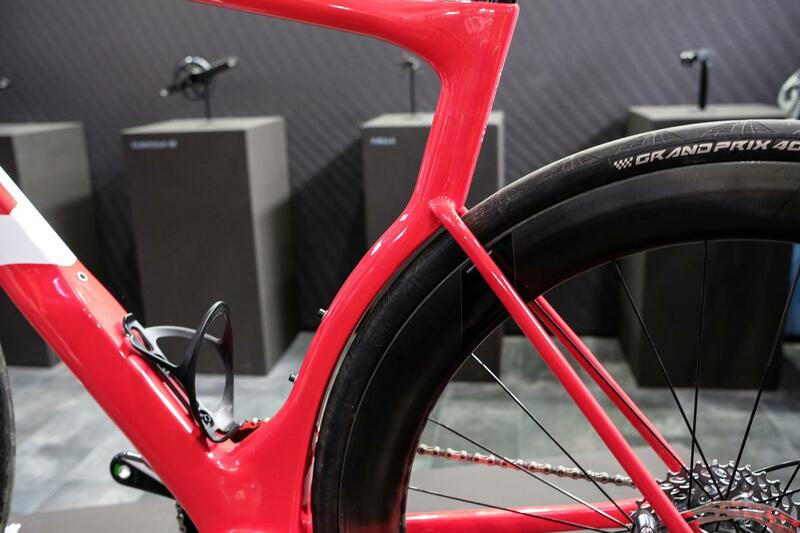 The Concept is Colnago's first true aero road bike, designed with extensive wind tunnel testing to be as slippery through the air as possible. 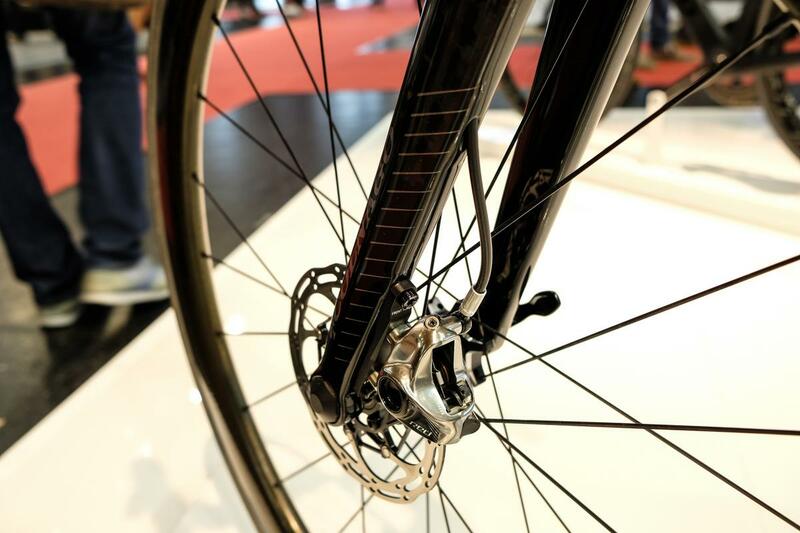 The disc brake version looks very different in all the key areas, and uses 12mm Hexlock thru-axles and flat mount disc brakes. 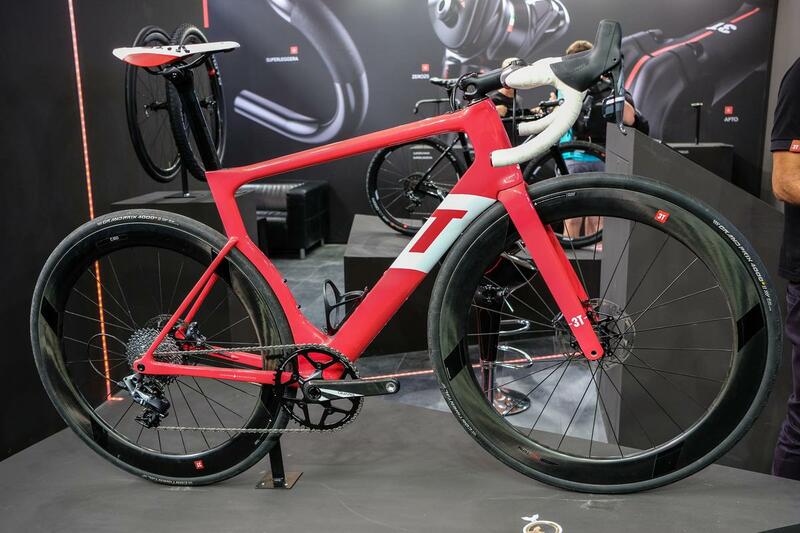 The most interesting new bike at the show was easily 3T's Strada, the Italian company's followup to the aero gravel Exploro. 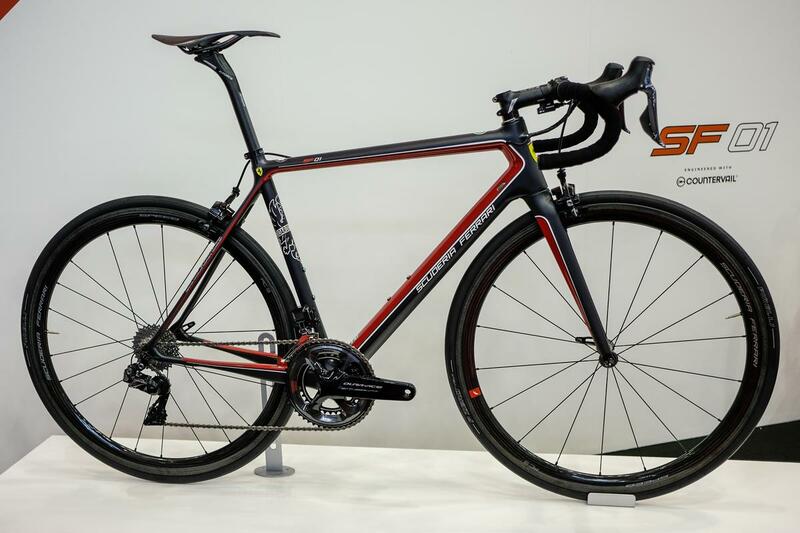 Designed by the highly regarded Gerard Vroomen (ex-founder of Cervelo) the Strada is a sleek aero bike that has been designed around 28mm tyres, disc brakes and a 1x11 drivetrain - there's no provision for a front mech. 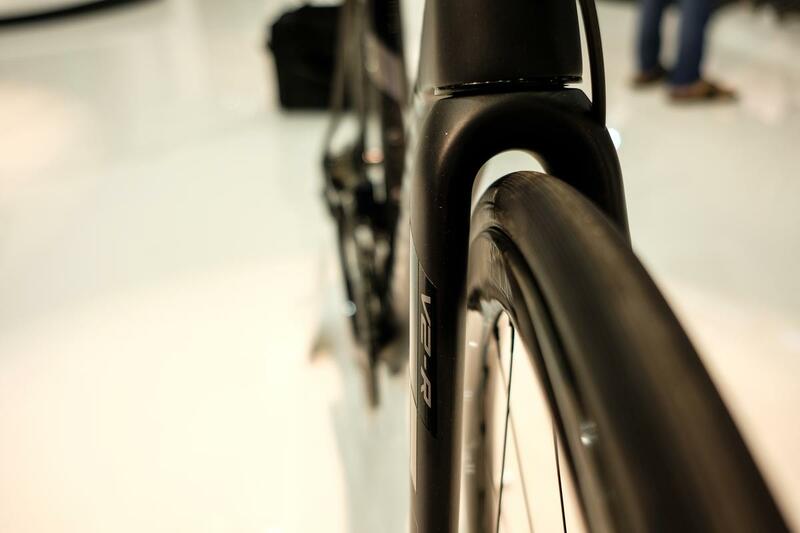 That's in order to minimise drag around the bottom bracket area as the frame can be optimised in this area. 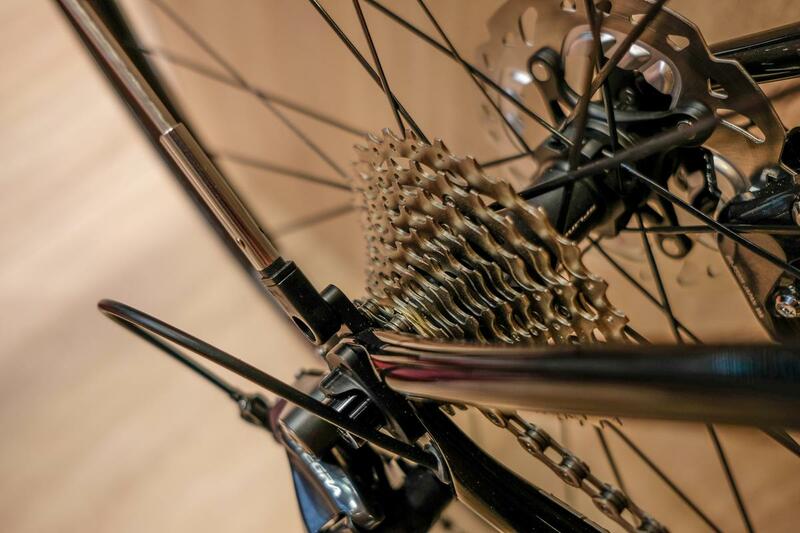 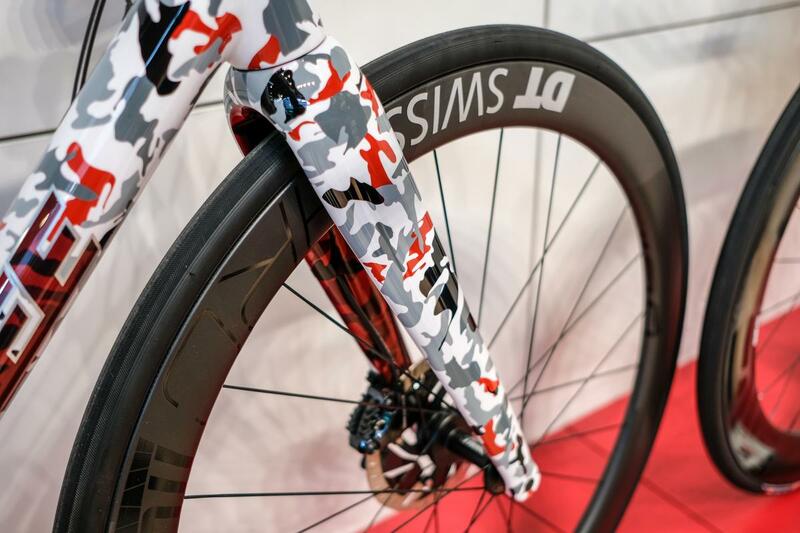 "The worst area aerodynamically is around the bottom bracket, with the frame, crank, chainrings, front derailleur, water bottles and rider's legs leaving little room for the air to pass through," explains Gerard. 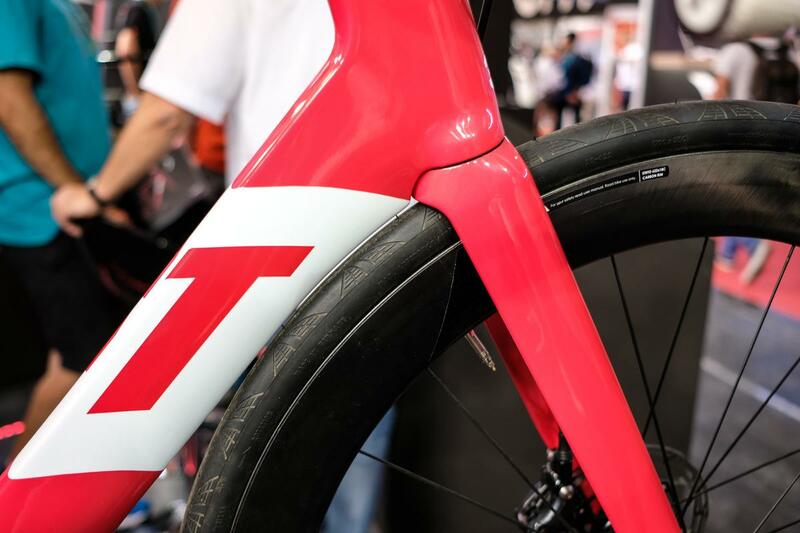 There are lessons taken from time trial bikes, with the seat tube hugging the curve of the rear wheel and the downtube running very close to the front wheel. 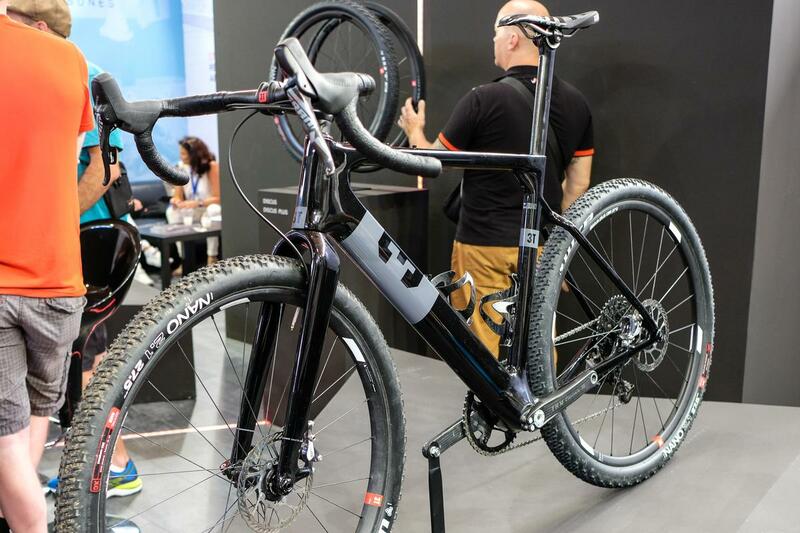 Lighting up the rapidly growing gravel and adventure bike market is the Exploro, the first ever aerodynamic road bike and the most striking bike on display at Eurobike. 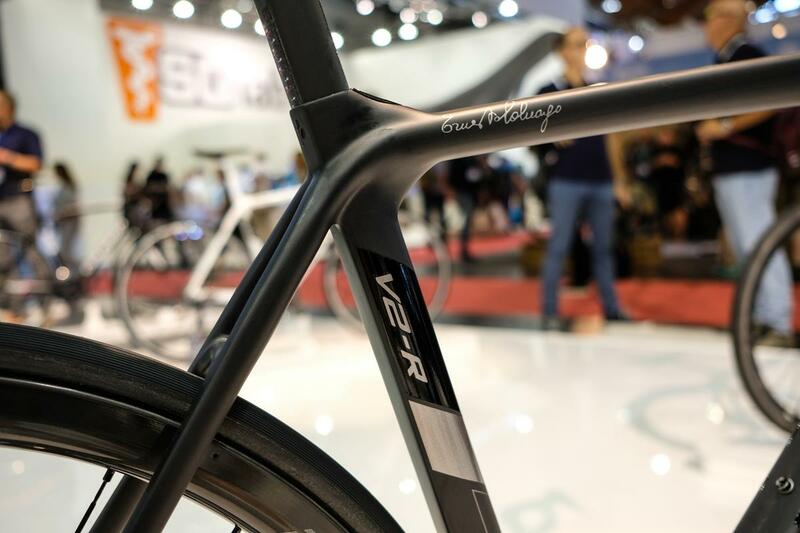 Also developed by Gerard Vroomen, the Exploro features a gigantic 50mm wide Kamm tail downtube (3T calls it Sqaero) which is intended to manage the airflow coming off the wide tyres the bike can accommodate. 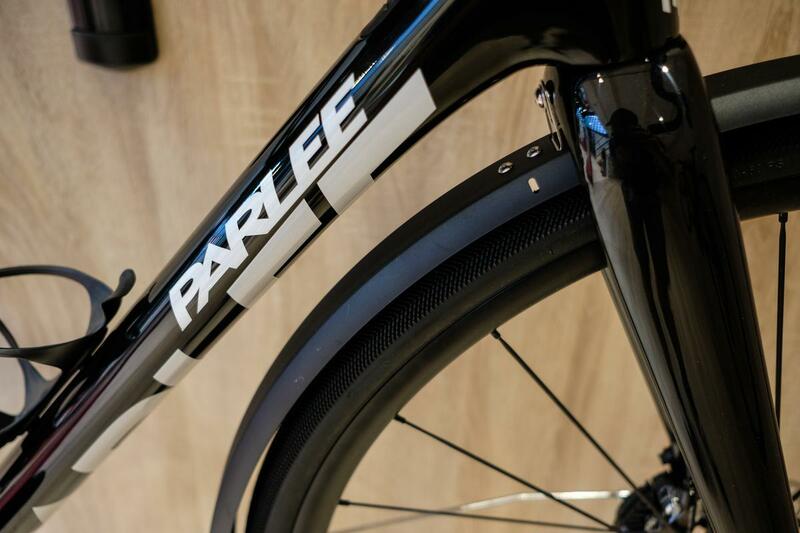 With compatibility for a full range of tyre widths right up to mountain bike tyres, it's a bike that more than most blurs the line between road and mountain bikes. 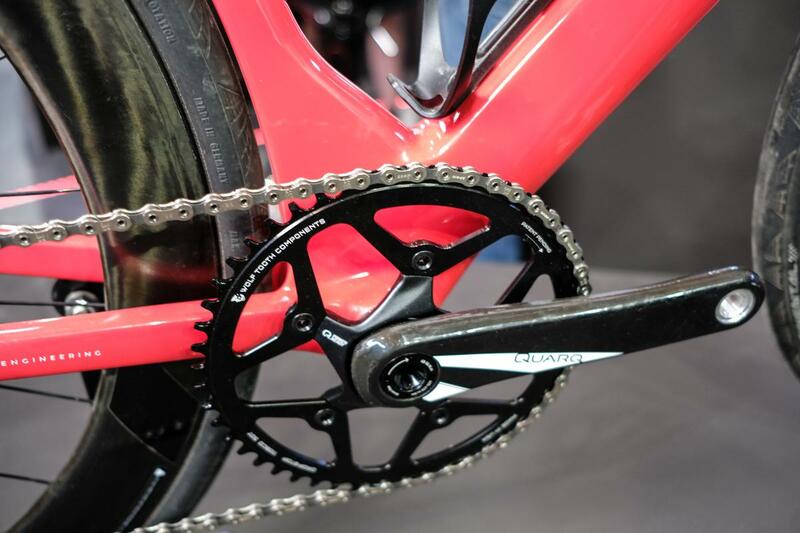 A single ring crank married to an 11-speed cassette provides a wide range of gears, but 3T has also developed its own cassette specifically for the Strada aimed at addressing some of the issues with current 1x11 systems, namely big jumps between certain sprockets. 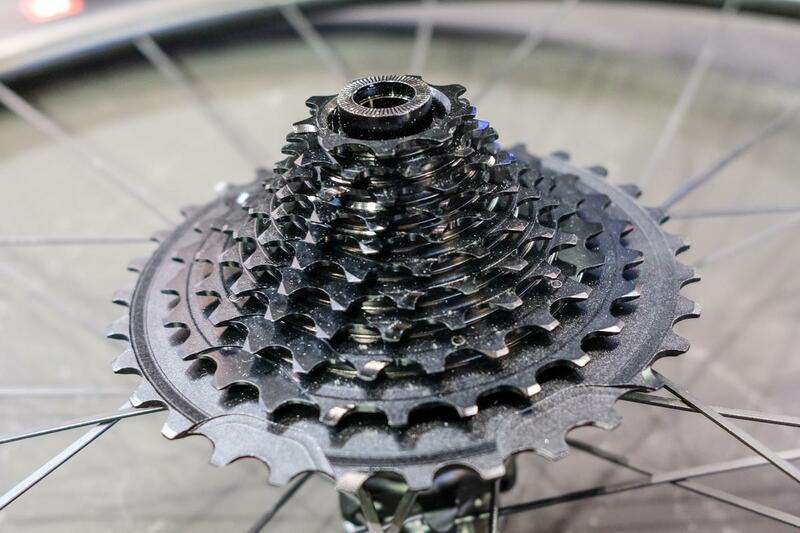 The 9-32 cassette uses SRAM's XD freehub system and is offered in two versions, Bailout and Overdrive. 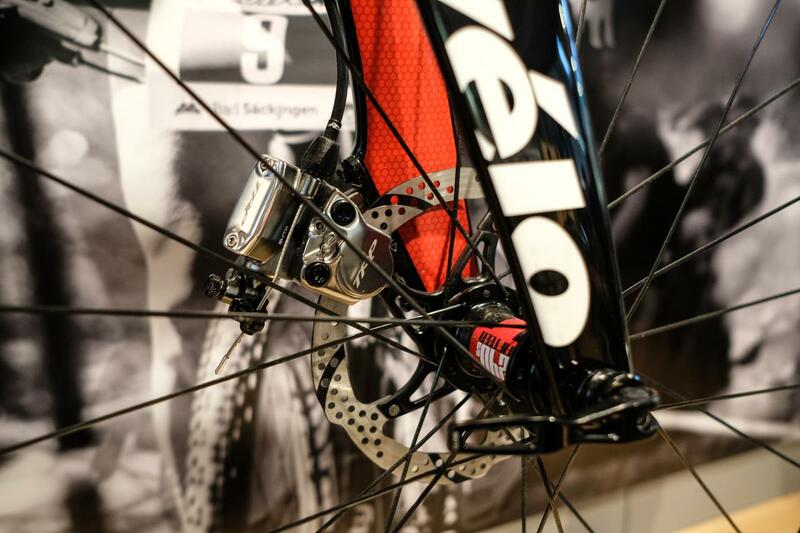 The former has a close ratio setup with one tooth increments from 9 to 17, and a couple of bailout sprockets at the top for the steepest climbs, while the latter has even spacing for climbing with an overdrive option for descents. 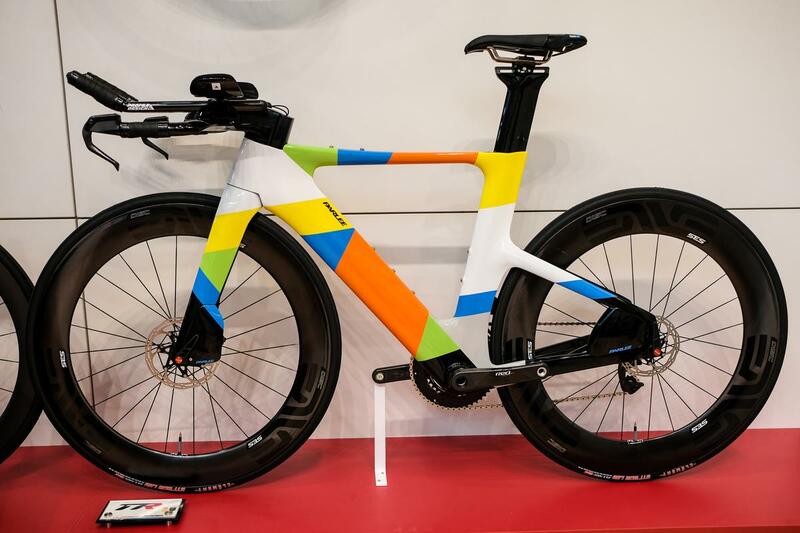 With the rise in custom paint jobs, Parlee was keen to demonstrate its skill and capability with two very cool bikes at the show, the Z Zero Disc above and the TTIR below. 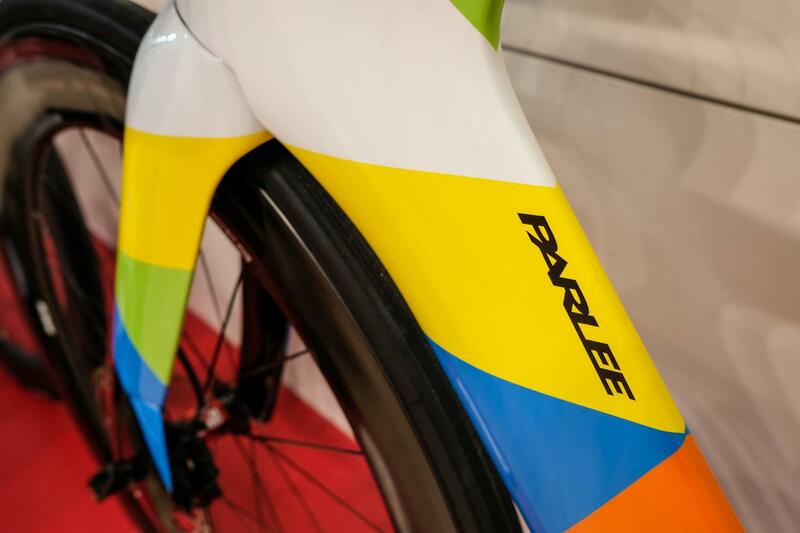 Parlee built its own paint shop in 2010 and Parlee's Tom Rodi reckons they have the best paint shop guys not just in the US but in the world. 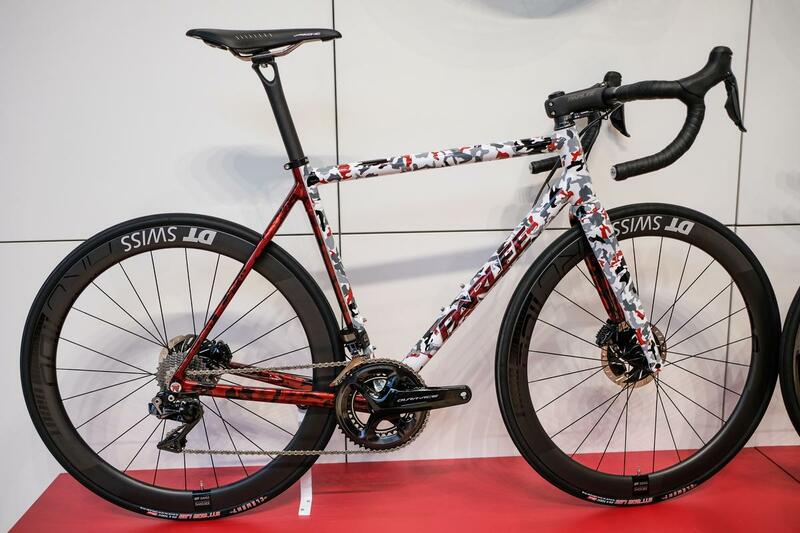 These two paint jobs are the result of a sort of Bake Off between Bob Parlee and lead painter Brian to create two special bikes and show them off at Eurobike. 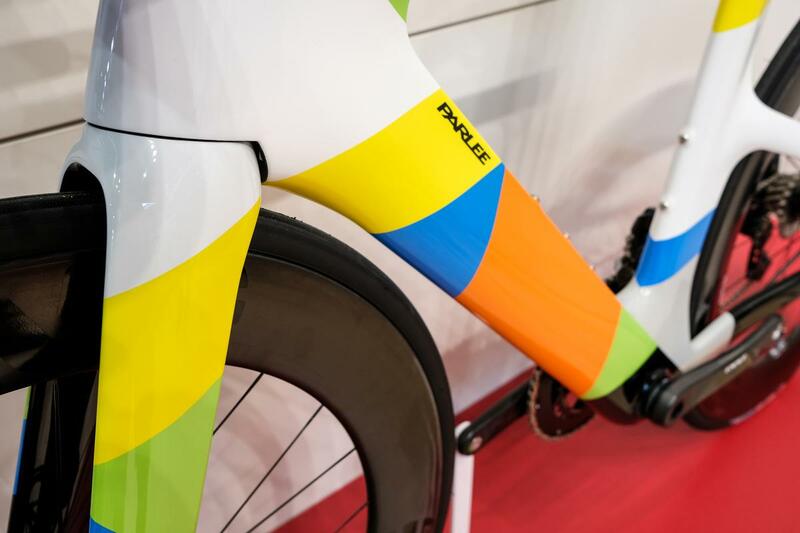 "People have started to realise custom paint is part of the Parlee DNA but I don't think people realise how much we can do, both in volume and technical ability," explains Tom Rodi. 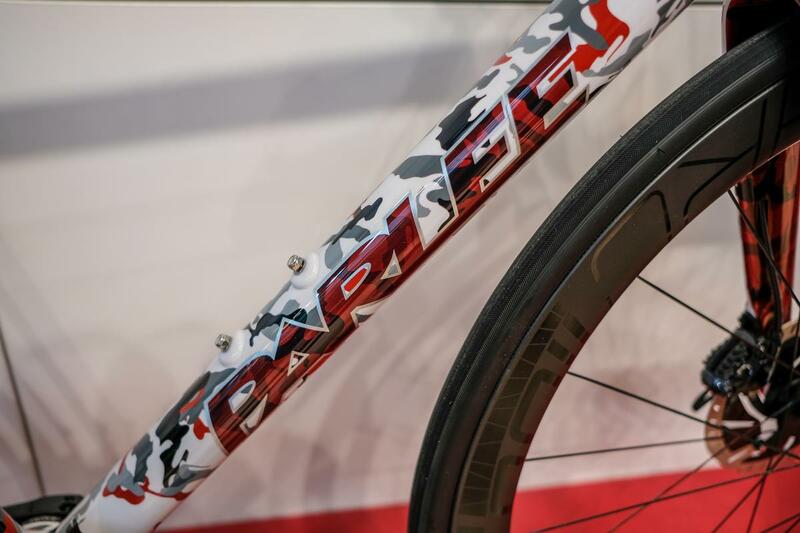 The Chebacco was launched last year as a carbon fibre gravel and adventure bike with big tyre clearance and an appetite for long distance dirt roads. 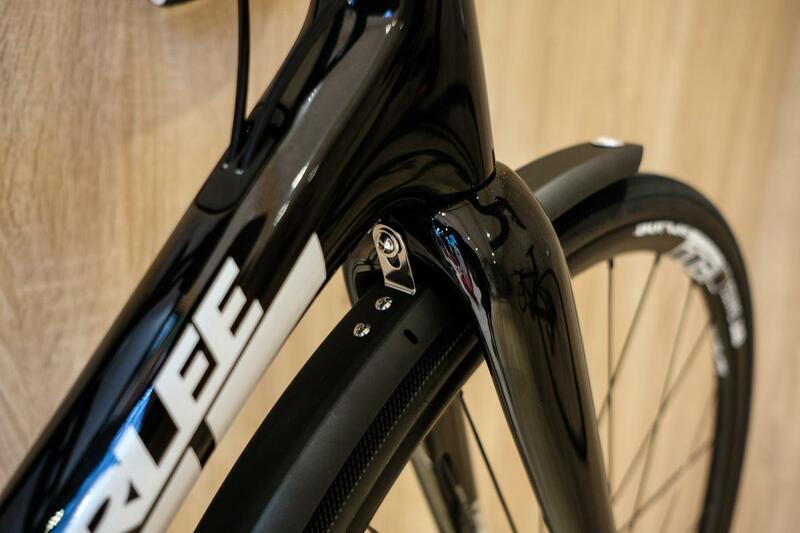 But its frame features mudguard mounts and the new 4S is a dedicated model that demonstrates the versatility and comes fitted with 32mm wide Clement Strada tyres, mudguards and a conventional drivetrain. 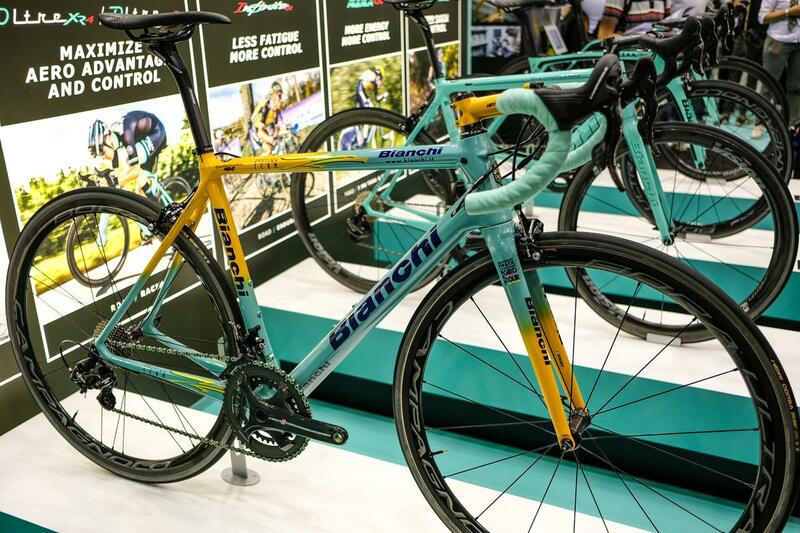 Ideal for the British winter. 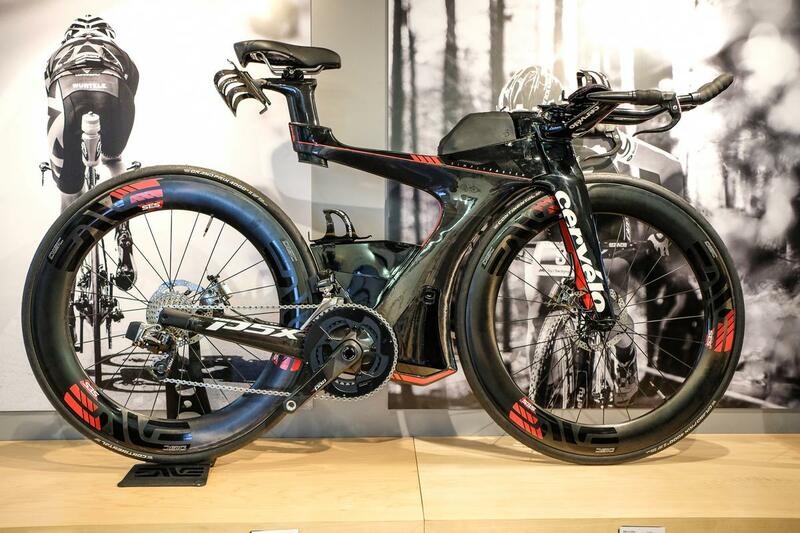 The most striking bike at the show was easily the new Cervelo P5X, the most advanced time trial and triathlon bike the cycling world has seen in the last couple of decades. 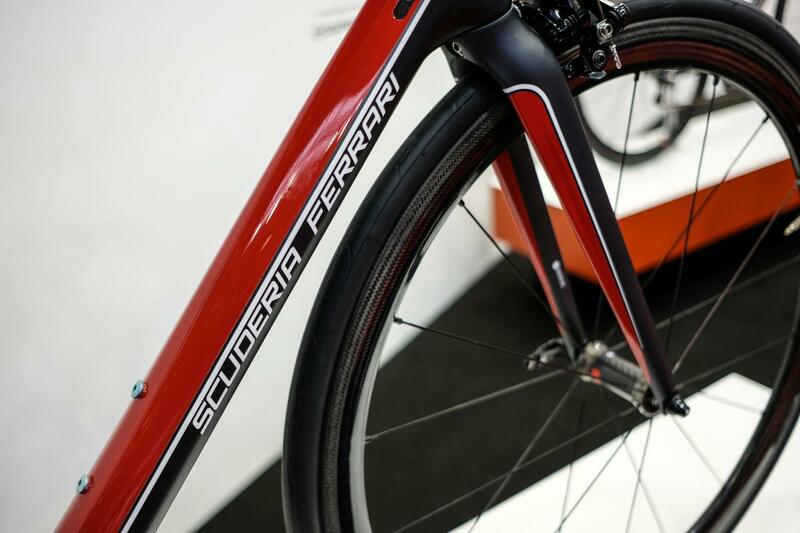 If you want to take a closer look at this new bike, we'll be getting our demo bike very soon!